Venta4Net™ - Network Fax Software and Answering Machine Software. Fax Server. To receive information concerning new Venta4Net™ releases by email, join the Venta4Net™ news mailing-list. We will not pass your email address onto any third party. 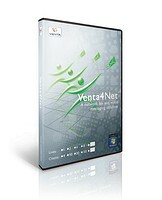 Venta4Net™ is a network version of the popular VentaFax software. Venta4Net products are intended for sending and receiving fax and voice messages via a fax modem (regular telephony) or the Internet (IP telephony). It enables users to send fax and voice messages from any computer in a local (or global) network with the client end software installed. Messages prepared by clients are sent through a server – one of the computers in the network with the server end of Venta4Net installed. This computer must be equipped with a modem (or several modems) connected to a phone line (lines) or connected to the Internet (VoIP telefpony). The server can work as an answering machine and receive fax and voice messages. Received messages (depending on the settings) can be forwarded to a specific user or several users. Later on, these messages can sent over to other recipients manually. Applications comprising the Venta4Net pack allow users to create and edit the delivery schedule, public and personal phone books and delivery time masks, as well as view the events log and do a whole lot more. 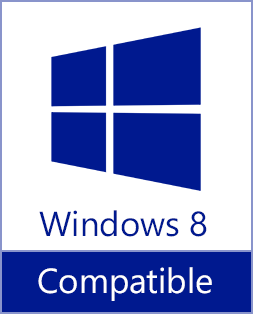 Venta4Net can be used on Windows 10, 8.1, 8, 7, Vista, XP operating systems. Support of networks with a terminal server and thin clients. The Venta4Net Plus server can simultaneously work with client end users (installed on separate computers or under a terminal server). Venta4Net Plus can be used on Windows 10, 8.1, 8, 7, Vista, XP, 2000, Server 2012, 2008, 2003, 2000 operating systems. Version 3.10 released with with various stability and compatibility fixes. Version 3.8 released with speech recognition support and T.38 fax protocol improvements. Version 3.7 released with improved compatibility with Windows 10. Version 3.6 released with a possibility to generate scheduled delivery queue from comma-separated text files (*.CSV). Version 3.4 released with Microsoft Speech Platform SDK 11 support for text-to-speech conversion. Venta4Net 3.3 released. In this version you can see thumbnails of incoming faxes directly in the client end main application. Venta4Net 3.2 with cloud services support has been released. Venta4Net 3.0 with Internet telephony (VoIP) support has been released.